The era of mega-vessels is here, and it's straining port performance around the world. Goods worth tens of millions languish on the piers, and profits leak from truck drivers and motor carriers, terminal operators, BCOs and ports. Neighboring communities suffer air quality and health problems. What's at the root of such costly delays: infrastructure, operational capacity limits, labor unrest, or broader policies such as fees? Is an appointment system effective? What impact is a construction project having on traffic circulation? Could the port be de-congested by better management of empty containers? Addressing these issues requires (a) top quality data, (b) top quality analysis, (c) honest, inclusive discussion. Here's what sets us apart. We re-designed GPS instruments for trucks, to poll a position every few seconds — 10× the next best density in the business, at a lower cost. Accurate, dense, rich data gives us a coherent trace of a truck’s path. We can often see exactly when a truck backed up to hitch a chassis. Turn time math is tough! Knowledgeable analysts say the problem is too difficult to automate. Other analysts have had their measurements shown to be wrong. We’ve been at the leading edge of digital geographic science for 30+ years. We designed custom data models and algorithms to detect errors. Our results are accurate every time. Accurate results reveal patterns, that indicate where the problems lie and where they don't lie, and point to the right solutions. You want that confidence in your decision making. Is it conceivable to have motor carriers and marine terminals, ports and BCOs sit in a room and all agree not only on the magnitude of turn time, but on the reasons behind the variations, and solutions? All in one session? Yes it is. We’ve done it in Los Angeles-Long Beach. We can do it for you. Incredible data, intelligent analysis, logical discussion. They're still talking about this 2011 study. We offer a range of solutions on truck-terminal efficiency. Data flows. Monthly. Weekly. Daily. So ports can keep on top of performance issues as they arise. 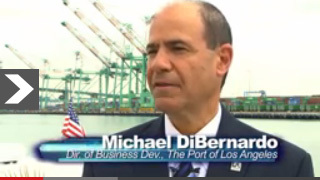 The Port of Long Beach engaged us to monitor turn time performance. Our before-and-after animation of the 2012 clerks' strike illustrates the value of doing this. Federal authorities remarked that this METRIS output was the most revealing commentary on the impact of the strike. Real-time monitoring A service at a Canadian port clocks a truck's time in the queue after it enters the terminal. 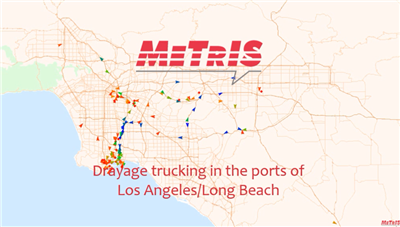 METRIS LiveQ measures it while trucks are still in line: length, dwell, speed of progress and trending. Dynamic appointments We are working on dynamic appointment strategies involving close communication between terminals and trucks. Empty containers bog down port operations with unproductive traffic. With our university partners, we have developed techniques for managing empties off-site, that have advantages over the traditional street-turn approach.